What is PSS Sage 200? 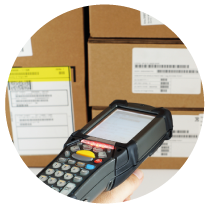 PSS 200 is a robust and reliable barcoding inventory management system that integrates seamlessly into your existing Sage 200 software to create a fully integrated inventory system. Using Sage at its core, PSS 200 extends and enhances the functionality of Sage 200 to offer a feature-rich, accurate, efficient and easy to use stock management solution that enables your workforce to consolidate data quicker as well as enhancing cash flow throughout your business. By integrating PSS 200 into Sage, you can automatically update entries to help drive efficiency and improve performance. 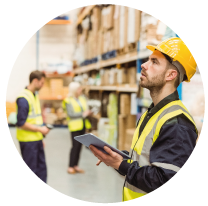 This isn’t a system that simply ‘does the job’ and as your business grows, you have more than just an entry-level inventory management system ready to grow with you. 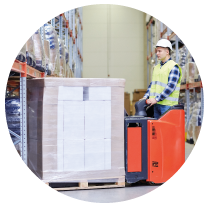 By utilising our inventory management system for Sage 200, you get so much more than just a stock control solution. This system aids your business when it comes to managing finances, stockholders and customers and even holds business insights all in one solution. With it’s advanced yet user-friendly design, it encompasses all of your business data so you can work smarter and ensure that you are gaining visibility into the whole of your business at once. But what does this mean for you? Our aim is to provide a reliable, flexible and scalable solution that will improve business efficiency and grow with you as your business develops and our barcoding inventory management system for Sage 200 does just that. It is a powerful system that incorporates and collectively manages complex processes so there is inter-departmental consistency throughout your business. This flexible yet adaptive software grows your business and the best thing about it is that any piece of information can be found almost instantly at your fingertips. Create purchase orders and sales orders within PSS and post the order directly to Sage at the touch of a button, saving you administration time and eliminating errors. 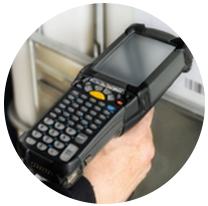 Book stock into the warehouse using the handheld scanner, which automatically updates Sage with goods in, making your goods in process more accurate. User the handheld scanner to pick and despatch stock against sales orders and automatically print despatch notes, making despatching stock quick and easy. Use PSS handheld scanners for scheduled or ad hoc stock takes to increase control and make your stock taking process quick, accurate and efficient. 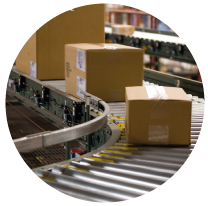 From the moment you take delivery of your goods, right through to the point of despatch, our barcoding stock control solution for Sage 200, manages, tracks and controls your stock inventory. Seamlessly integrate into Sage 200 to automate processing and create real time visibility to remove errors and reduce mispicks by 99%. Enable multi-location requisitioning and stock visibility to drive warehouse efficiency and reduce stock count time by up to 90%. Gain added control via stock take by location, serial/batch number tracking, for full traceability and improve stock rotation using expiry dates. Bit Systems barcode labelling software quickly generates and prints GS1 compliant barcode product labels, shelf edge labels or pallet labels. 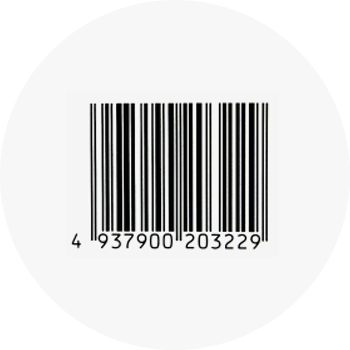 Our label printing software allows users to generate both linear and 2D codes for every type of business, utilising a range of Sage fields such as product code, description, supplier code and standard prices.